THE BOOK: The Spiritual Awakening Process: Coming Out of the Darkness and Into the Light. THE PUBLISHER: Between Worlds Publishing. SUMMARY: Humanity has reached a defining point in our spiritual history, yet many are unaware that our world is changing from the Age of Darkness to the Age of Light at this very moment. The Spiritual Awakening Process: Coming Out of the Darkness and Into the Light supports our individual journeys towards consciousness and expands our shamanic powers and deep, intuitive wisdom. This nonfiction book will help readers understand, and fully engage in, the worldwide awakening currently taking place: an awakening that offers hope, healing, and ultimately, unity. Vibrant, evocative, and carefully detailed, The Spiritual Awakening Process speaks to the shaman in us all—and it’s also how we return America to its divine destiny. THE BACK STORY: This book was written at the suggestion of a friend who is an intuitive, who picked me up in her car one weekend and took me to her home in the Santa Cruz mountains. On the drive over to her mountain home I resisted the idea of writing a second book. (No way was I going to do that!) But then the next morning I woke up in her guest room with a plan for the new book, along with the idea that I could complete it in about three months. The book took a little over three months to research and write. Once I started it, helpful synchronicities happened daily that allowed me to complete it in record time. The book was updated in December 2016 and produced into a Kindle book and paperback in January 2017. WHY THIS TITLE? : The main title is self-evident. There’s also astronomy in the book that proves the point of the subtitle. WHY WOULD SOMEONE WANT TO READ IT? This book explains in easy-to-understand, simple language the what, how and why of spiritual awakening. Anyone who is a truth seeker will want to read this book. AUTHOR PROFILE: Christine Hoeflich is also the author of What Everyone Believed: A Memoir of Intuition and Awakening (the original hardcover title; Reconnected: A Spiritual Awakening Memoir is the Kindle title). A former materials engineer, she has developed the steps needed for strengthening the relationship with our higher self, gaining trust in our intuition, accessing Interconnectedness, and understanding our soul’s bigger plan. Her memoir was recognized by North Atlantic Books as “One of 4 Notable Spiritual Awakening Memoirs,” along with Eat Pray Love, The Happiness Project, and Star Sister. 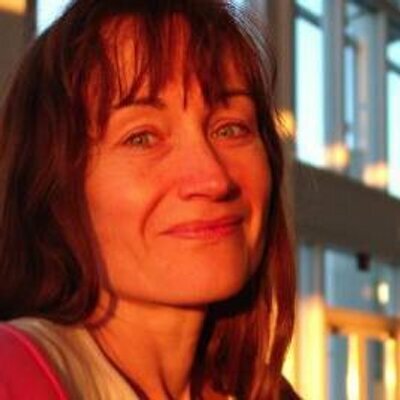 Christine has written articles, blogged and tweeted on spiritual awakening and personal growth. About nine months after setting up her Twitter account, she was recognized by Mashable in their article, “Nonfiction Tweets: 70+ Authors to Follow on Twitter,” in the Creative Nonfiction category. She was also recognized by CreativeClass.com (online college degrees) in their article, “100 Amazingly Insightful People You Can Learn from on Twitter,” in the Words of Wisdom and Inspiration” category, along with Oprah and Deepak Chopra. Christine has a blog where she writes about spiritual awakening at ChristineHoeflich.com. You may reach her through her blog. 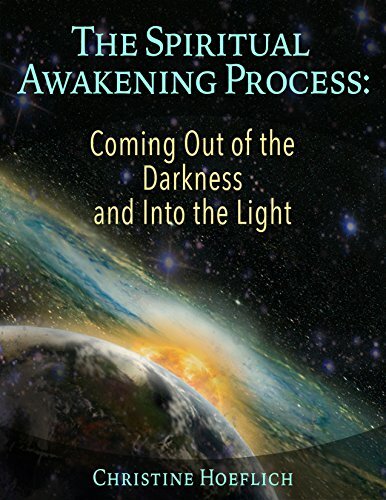 SAMPLE CHAPTER: A sample of the book is available at Amazon at the following link: https://www.amazon.com/Spiritual-Awakening-Process-Coming-Darkness-ebook/dp/B01NAUA9NJ/. LOCAL OUTLETS: Not at the moment. WHERE TO BUY IT: Available on Amazon as a Kindle book and paperback. PRICE: $9.99 Kindle book, $14.95 paperback. Thanks Darrell for featuring my book on your site!